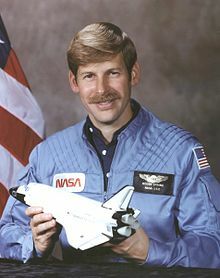 Sherwood Clark "Woody" Spring is a retired United States Army colonel and former NASA astronaut. Spring logged 165 hours in space, 12 of which were spent conducting spacewalks. Spring also accumulated 3,500 hours in 25 different military and civilian aircraft; over 1,500 of those hours were spent in jet aircraft.